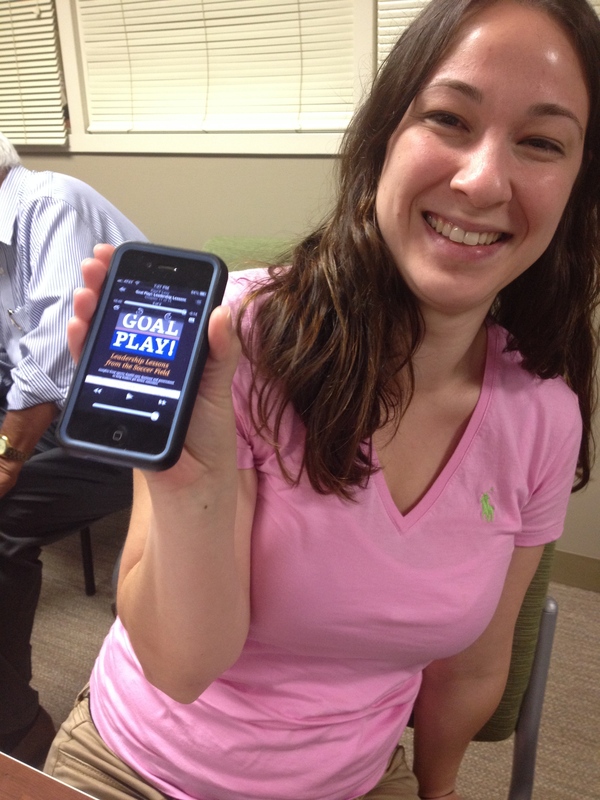 Audiobook of Goal Play! at Wentworth | Goal Play! I was pleased to address a Master’s Class in Executive Management at the Wentworth Institute of Technology, taught by Ilyas Bhatti. I was honored that Goal Play! was part of the asisgned readings for the course. But I was especially pleased to see that a couple of the students had purchased the audiobook version of the book so they could listen to it on the drive to and from home. Here’s Evi with a copy loaded on her iPhone. You can get all three versions (paper, Kindle, audiobook) here on Amazon.